Bioshock Oceanographic: How deep is Rapture? Rapture, a city beneath the sea, the crowning achievement of Randian industrialist Andrew Ryan. This atmospheric world of technological wonder and urban decay serves as the setting for one of the greatest video games of all time, Bioshock. The player, finding themselves stranded at sea in a fiery plane crash, makes their way towards a lonely lighthouse, descends into the sunken, desolate city, and unlocks the mysteries surrounding the creation and destruction of a most unusual city. Though many questions are answered as the player journeys into the heart of Rapture, collecting audio diaries of its residents along the way, one question still eludes: How deep is Rapture and where, exactly, is it? We know a few general things about Rapture. It’s in the northern mid-Atlantic. This is evident through the name of the train system in Bioshock 2–Atlantic Express as well as from the literary inspiration for the city–in Atlas Shrugged, Galt is said to have glimpsed a shimmering city beneath the sea while sailing across the Atlantic. We also get a glimpse of coordinates near the end of the game (63° 2°N, 29° 55°W) which would place Rapture a few hundred miles west of Iceland (though those coordinates may not correspond to the actual location of the city, but the location where the main character hijacks a plane). There are several factors that limit how deep you could build a city like Rapture. The first, and most obvious, is pressure. For every 9.8 meters you descend the weight of sea water above you increases by 1 ATM (the total weight of all the air pressing down on you at sea level). This is the major limiting factor for all deep-sea exploration. Vehicles capable of carrying humans to the deepest ocean (and there have only ever been 2: the Trieste II and the Deepsea Challenger) have pressure spheres with steel walls 2.5 inches thick. Even vehicles like Alvin, Shinkai, and Jiaolong have pressure spheres up to 3 inches thick. Sphere is the operative word here, because a sphere is equally strong in all direction, in stark contrast to the art-deco buildings that make up Rapture’s sea line. 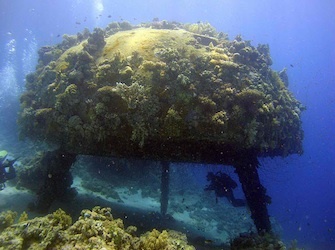 There have been numerous underwater habitats built for human occupation over the years. Jacques Cousteau’s Conshelf could operate at depths of 100 meters, while the US Navy Sealab worked at almost 70 meters, but most others were only ever launched in 10 to 20 meters of water. Maintaining even a small underwater structure is hard. It’s also cold. Deep-sea divers and submersible occupants need to layer up to keep warm. Once you get past the surface, the sea rapidly cools to about 4°C. Water is a great thermal conductor, so residents of a deep-sea metropolis would need a continuous, massive source of heat to stay warm. A Rapture in disarray would quickly become a very chilly place. You could get around the problem of pressure by increasing the air pressure with Rapture. If the pressure within Rapture were equal to that of the sea outside, then the force pressing in on the buildings would be equalized. Rapture is leaky, so an equalized environment would go a long way towards making the city stable. This comes with its own problems, because gases and human physiology behave very differently at increased pressure. Oxygen becomes toxic and nitrogen induces a drug-like state, appropriately dubbed by early divers “the rapture of the deep”. Rapture, especially when the player arrives in Bioshock, is also a city that appears to be continuously on fire. Splicers camp around burning barrels, oil slicks are everywhere, the player launches rockets and deadly incinerate plasmids into just about everything. Fire under high pressure is more efficient and less stable. If Rapture were equalized with the sea around it, it would be continuously flooded with perpetually burning walls of flame. So Rapture is almost certainly not an equalized habitat. The citizens and splicers live at 1 ATM in a steel-walled fortress beneath the waves. Rapture is not just home to a colony of disgruntled objectivists, it’s also an artificial reef. Reefs tend to accumulate biologic diversity, and Rapture is no exception. Through windows and the glass tunnels that connect the city, we see glimpses marine life. Many of these creatures have been altered by the genetic-modification effects of ADAM, the chemical cause of Rapture downfall, but most are just run-of-the-mill marine animals. In Bioshock, we are treated to the site of both a humpback whale and a colossal squid. Humpback whales are not exactly world-record holders for deep-diving marine mammals–that title belongs to Cuvier’s beaked whale and its nearly 3000 meter dive. Humpbacks prefer to cruise along the surface, though some have been documented hanging out at 100m. Colossal squid, on the other hand, are deep-diving animals, yet so few have been documented that we don’t know their range. Colossal squid are the most massive of the molluscs, though, so it’s not surprising that one would hang out around Rapture, where food appears to be plentiful. In Bioshock 2, the player may encounter another ocean giant, the Great White Shark, swimming through the halls of a recently flooded level. Once the next stage is drained, we find herring flopping around on the floor. We get a few more biological clues that Rapture is a relatively (and philosophically) shallow city. In Bioshock 2, much of the city is overgrown with kelp, an organism that needs sunlight to photosynthesize. This suggests that at least part of Rapture is in the photic zone. All of this suggests that Rapture is closer to the surface than the briny depths. Rapture is a marginally self-sufficient city. It needs heat. It needs power. It needs oxygen. Fortunately, there’s a source for all of those things right near the coordinates revealed in the game. Rapture is on the mid-Atlantic ridge, where the separation of two oceanic plates creates access to a massive geothermal energy source. It’s the same source that powers much of Iceland. As we explore Rapture, we find plumes of hydrothermal effluent floating up from the sea floor. Rapture is situated near a site of extreme hydrothermal activity–the game says as much near the middle of the first Bioshock when you approach the power center. But again, we know these vent must be shallow. They lack the characteristic fauna of deep-sea vents (in this case, the blind shrimp Rimicaris exoculata). We also know that the city is situated near a trench, as the main villain threatens to drop an entire section into it at the end of Bioshock 2. 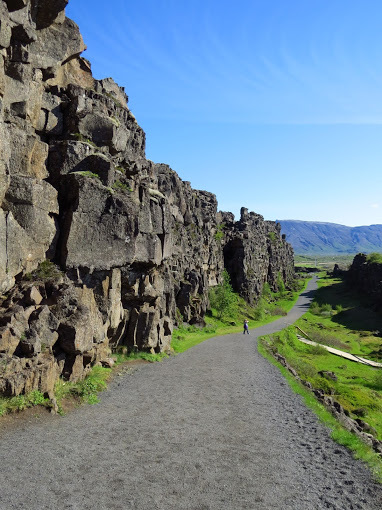 This “trench” is almost certainly the mid-Atlantic ridge, which is flanked by the largest mountain range on the planet, allowing Rapture to exist near a region of unprecedented geothermal power while remaining relatively shallow. Part of the mid-Atlantic ridge even breaks the surface. We call it Iceland. The mid-Atlantic ridge is not all submerged. Photo by author. If Rapture were in a particularly deep trough, it would be slowly buried by the constant rain of marine snow, eventually becoming a mud-encrusted wasteland. Rapture is high up on the mid-Atlantic Ridge, at the crest of this monumental mountain range, close enough to the surface to taste the sun. Based on its geologic setting, the limitations of human engineering, and the marine species found swimming and crawling around the city, the base of Rapture is no more than 150 meters from the surface. The tallest buildings in Rapture can be reached with an OpenROV. Mr. Bubbles? Carmagnolle Dive Suit. From the French Naval Museum. Perhaps the biggest clue to the depth limitations of Rapture are the city’s most iconic minions, the Big Daddies. These behemoths lumber around in heavy diving suits. Modern atmospheric dive suits can carry an individual down to 300 meters. 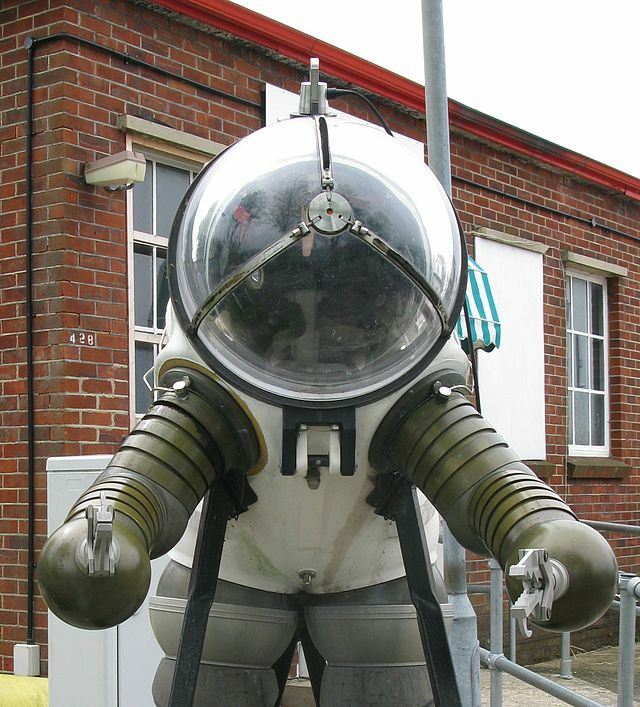 The JIM suit, now retired but the closest modern equivalent to the Big Daddy, could reach 400 meters. JIM suit. Photo from Geni via Wikipedia. The Big Daddy suits aren’t modern. 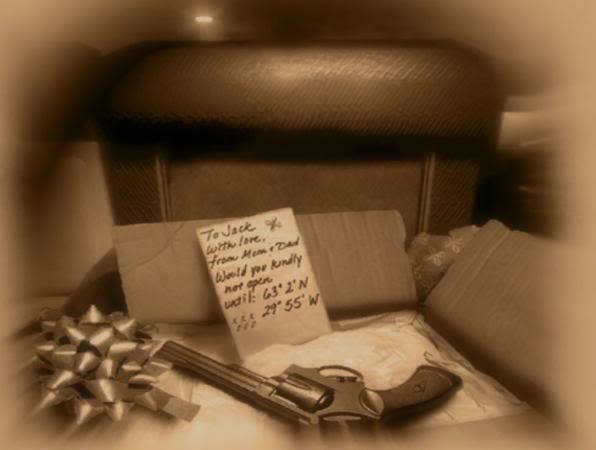 We know from Bioshock 1 and 2 that they are made with leather and rubber components, with numerous openings. They are closer in technology to the old heavy diving suits from the turn of the century. 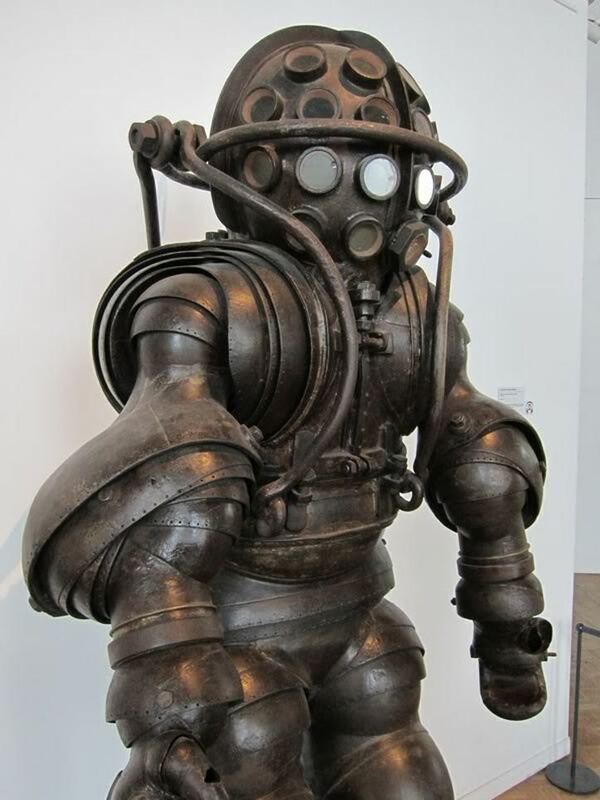 The Big Daddy looks like nothing so much as the Carmagnolle diving suit, which, though visually stunning, never successfully dove. More likely, Big Daddy technology derives from the US Navy standard diving dress, with a Mark V helmet, in use from 1918 to 1986 (reliable tech is reliable). These suits could operate in 100 meters, and sometimes more, but, as they are pressure equalized, divers risked getting the bends by pushing the limits. Like it or not, the technology needed to create Rapture in 1946 was only sufficient to place the city in a paltry 150 meters of water, at best. In the end, it turns out that Rapture, like Andrew Ryan and the objectivist philosophy that inspired his utopia, though grand in vision, is ultimately much shallower than it first appears. Now that we’re done over-analyzing a video game, why not read how I took all the fun out of Aquaman: The horrifying physiological and psychological consequences of being Aquaman or, if you want to pick apart my own paltry attempts at fiction, check out one of my books: Fleet and Prepared. Fontaine is a liar and the maximum depth of the Atlantic is only 5.2 miles. I really love how you analyzed, with real logic, how deep Rapture could really be. I never looked at it from that perspective. I’d give all of my kidneys away to see a city under the sea some day. Even if it’s just 150 meters deep.